The mention of RENATA SCOTTO immediately brings to mind artistry of a personal expression achieved by very few performers in any area of the performing arts. She is one of those artists who continue to take on challenges and score triumphs in an ever-expanding repertory, which spans more than 100 roles. 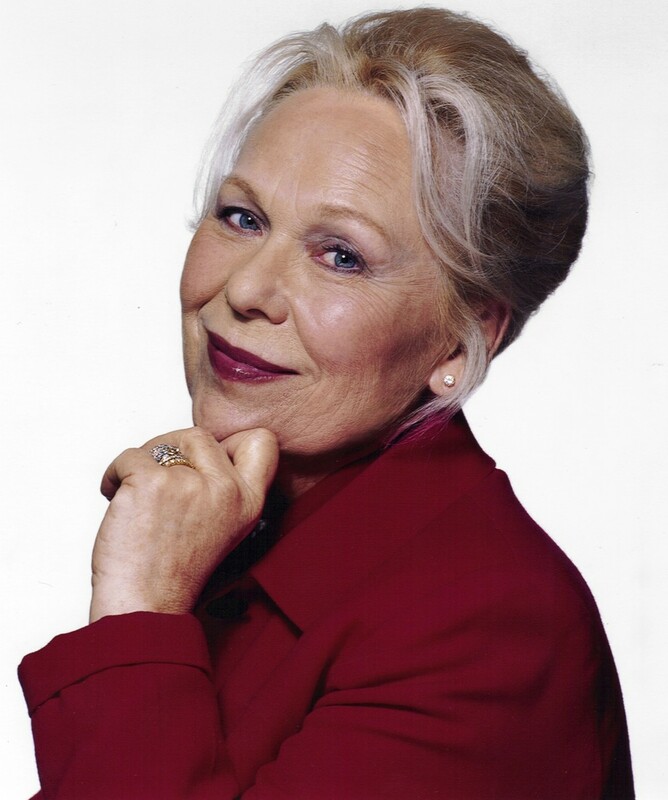 Renata Scotto received universal praise from the world's leading critics, and received the Italian Critics Franco Abbiate Award and the Frankfurter-Allgemeine Award for her portrayal of the Feldmarschallin in Richard Strauss' Der Rosenkavalier, her first German language role. Mme Scotto performed her Marschallin in Catania in 1992, then opening the 1995 Charleston Festival (Spoleto USA) repeated it in Austria at the Graz Opera. At Germany's Schwerin Festival Mme Scotto sang the role of Kundry in Wagner's Parsifal for the first time in April 1995, receiving the plaudits from the major German critics. At the 1993 Maggio Musicale Fiorentino, Renata Scotto stunned the international operatic world with her moving interpretation of Francis Poulenc's La Voix Humaine for which she was again given the Franco Abbiati critics’ award in Italy. Scotto repeated this role with the Teatro del Liceo in Barcelona that was telecast over Canal Plus and at the Concertgebouwe in Amsterdam in October 1996. Renata Scotto is a prolific recitalist and performs extensively in Europe's major music capitals. Since 1986 she has dedicated several weeks each season performing with the leading orchestras of the world, giving master classes and singing recitals. In recent seasons she has added Berlioz' Les nuits d’ete, several songs of Richard Strauss and several of Mahler's Ruckertlieder songs. At Rome in 1994, Renata Scotto performed Schoenberg's Ewartung for the first time, with the Orchestra of the Academy of Santa Cecilia and then with the RAI Turin Orchestra. Renata Scotto continues to add to her activity as stage director after her debut at the Metropolitan in 1986, with Madama Butterfly and then at the Arena di Verona and the Florida Grand Opera in Miami, with the same work. In Italy, at the opening of the annual Festival Belliniano in Catania in 1993, she staged Bellini's Il Pirata and in 1994 a new production of La Sonnambula. In March 1995 Renata Scotto created a new production of Verdi's La Traviata at the New York City Opera, which was telecast nationally over PBS in the "Live from Lincoln Center" series. For this she won an Emmy Award for Best Live Musical Event. Rio de Janeiro heard her in La Voix humaine in 1998 and 1999 she appeared in a double bill of the same work and in her own staging of Menotti’s The Medium singing the role of Baba (Mme. Flora) for the first time, at the Teatro Regio di Torino. In 2000-01, Ms. Scotto made a triumphant debut in the role of Klytamnestra in Richard Strauss’ Elektra with the Baltimore Opera as well as staging Tosca with Deborah Voigt singing the role for the first time for Florida Grand Opera. In 2002, Ms Scotto ‘s staging of Madama Butterfly at the Palm Beach Opera won universal critical acclaim as did her performances in Seville of Klytamnestra. A new production of Butterfly was seen at Genoa’s Teatro Carlo Felice in June 2002 and in September 2002 she creates a new production of Cilea’s Adriana Lecouvreur in Santiago with Veronica Villaroel in the title role and her production of Madama Butterfly inaugurated the new Teatro delle Muse Performing Arts Center in Ancona, Italy. Most recently she directed La Traviata for Florida Grand Opera and Norma for the Finnish National Opera, both to great critical acclaim. In 2004-05 she staged a new production of Lucia di Lammermoor for the Megaron Theater in Thessaloniki, Greece and staged a new production of Catalani’s La Wally for Bern, Switzerland and revived her production of Madama Butterfly for the Dallas Opera. In 2005-06 season she will stage and revise a production of La Boheme designed by Pier Luigi Pizzi for Lyric Opera of Chicago and in the 2006-07 season create a new production of Bellini’s Sonnambula for Florida Grand Opera at the new Performing Arts Center of Miami. In 2007 she revived her production of La Wally for the Teatro Comunale in Bologna. Over the past several years, Renata Scotto has established herself as the most sought after teacher of vocal style and technique on the international circuit. She has presented select master classes at the Juilliard School, the Curtis Institute in Philadelphia, Yale University, the Russian Opera Center in Moscow, Tokyo University, Pittsburgh Opera, Paris Opera Bastille, Lyric Opera of Chicago’s American Artists Program and the Lindemann Young Artists Program at the Metropolitan Opera. In Italy, Mme Scotto has presented master classes for the Young Artists Program at La Scala in Milan and at the Verdi Institute in Parma. Her master classes have also been held in Switzerland at the Verbier Festival and Academy. In 1995, Mme Scotto was elected President of the famous A.S.L.I.C.O competition in Milan. She heads the Young Artists Development Program of Rome’s Accademia di Santa Cecilia. In June 2003 Ms Scotto inaugurated Renata Scotto Opera Academy at the Westchester Music Conservatory in New York which is held each year.